This double lesson showed clearly what I am capable of and of what I am not. The full panel approach into Aspen went smooth and precise but as soon as I lost my directional gyro on a simple approach I got into trouble. Today’s approaches into six airports were exhausting – on the last approach not only the vacuum pump failed but also the nav #1, #2 and at some point even the GPS. 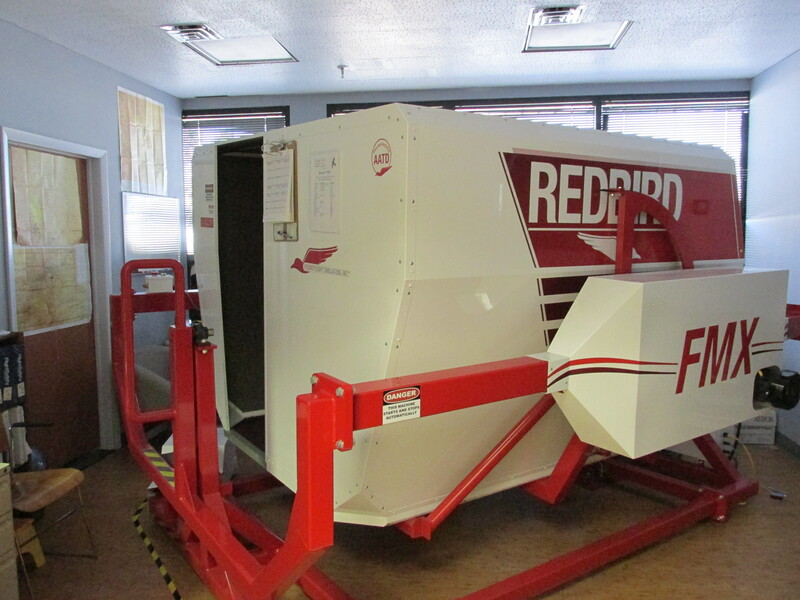 I am glad this wasn’t a real airplane but just another intense 3.2 hours in the Redbird FMX. Again, I could choose the approaches to fly. On ForeFlight I often randomly look at airports and their approaches. The most interesting ones are found in mountaineous areas. This approach into Carson airport was nice to fly and I felt confident. The only thing that almost got me were the minimums. The simulator’s GPS doesn’t support WAAS and therefore LNAV minimums must be used. Another issue I run into was the descent from the minimum descent altitude (MDA). I had the airport environment in sight before passing the missed approach point. Without a visual descent point, which would be indicated by a “v” on the approach profile view, you have to maintain the MDA until reaching the missed approach point MOKEV. It was tempting to descend, but it would have been unsafe. By the way, note the difference between a GPS fly-by-waypoint (DIKNE, FAPGA) and a fly-over-waypoint (WOKEV). 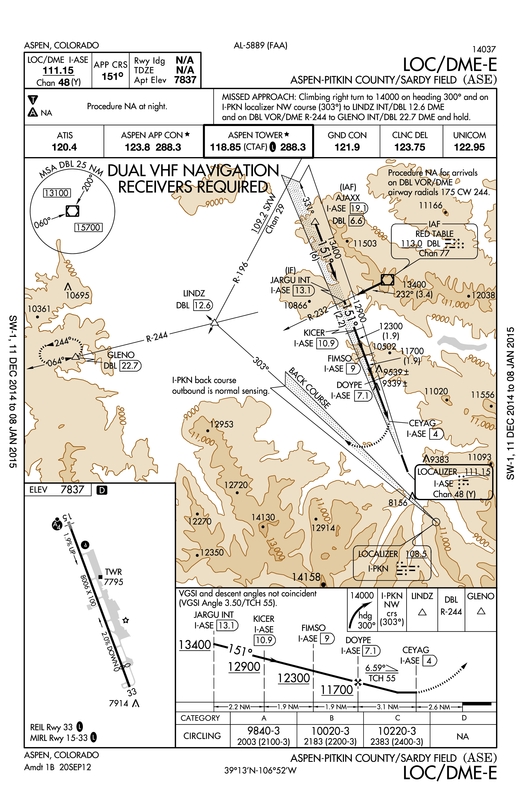 RNAV (GPS) RWY 27 approach into Carson airport. South-East of Santa Fe I flew the 7nm DME arc. The smaller the arc, the faster you have to “turn ten, twist ten” and this arc is one of the smaller ones. After practicing that in the last simulator lesson I had much more confidence in flying the arc. 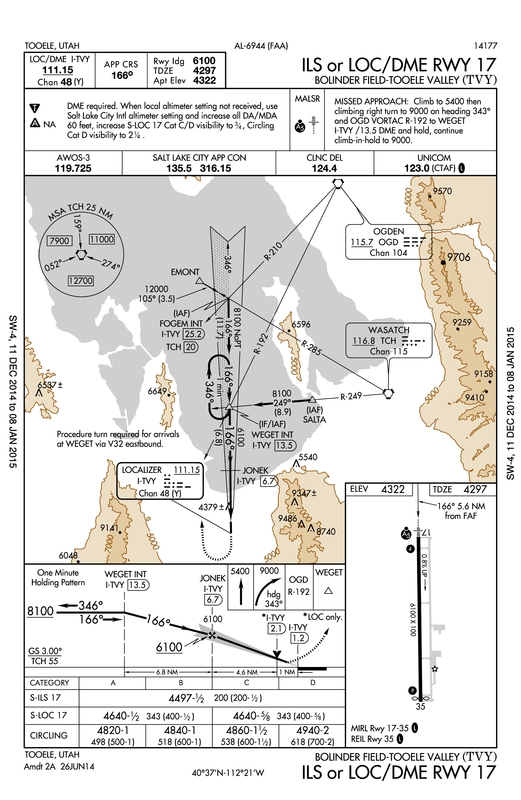 I always knew which heading I should fly to correct the distance to the arc and I made a correct entry with a 90° standard turn at 0.5nm before the arc. 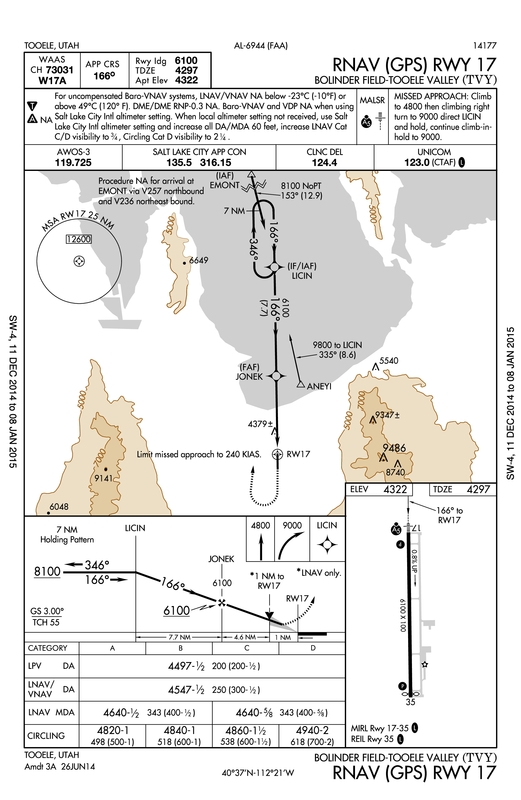 To leave the arc I chose the radial of 10° before the final approach course as my lead radial (LR-343), the point where I turned towards the airport. My turn was finished too early and I believe I should have turned at half standard rate turn instead of a standard rate, or 1.5° per second instead of 3°/sec. The only thing that went wrong – and this shouldn’t happen – was that I forgot to start the time at final approach fix, FAF, passage. I suddenly realized that I needed an alternative and the answer would have been 4.2nm DME slant range from the vortac. At this point of the approach the workload and proximity to terrain would have triggered a missed approach on a real flight. 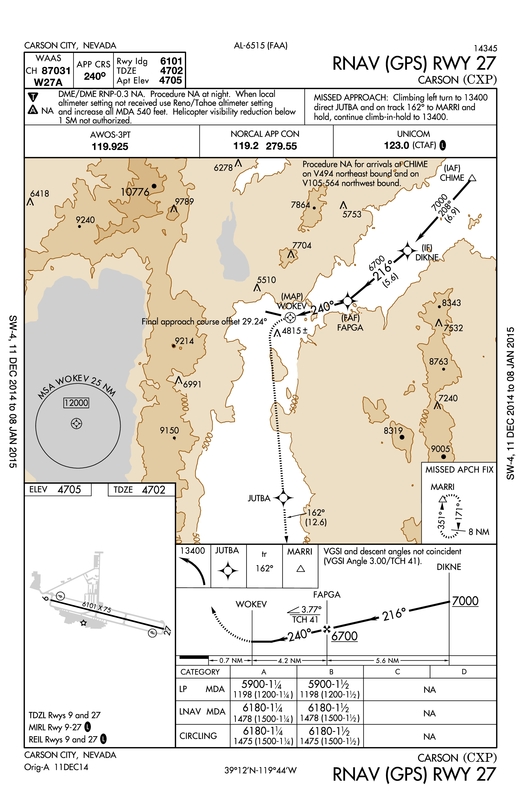 VOR RWY 33 into Santa Fe Municipal airport, we chose to fly the South-West DME arc. Joshua wanted me to fly the approach into Aspen, just for fun. Looking at the approach plate it looked like a real challenge. We started North-East of the initial approach fix Red Table vortac (DBL). I set myself up on a 232° course toward DBL, because after passing it I would only have 3.4 miles until reaching the localizer so I didn’t want to have a heading change over the VOR. Now, the turn onto the localizer is about 90°. This means that the turn onto it should start about 0.5nm before reaching it – at 2.9 DME from Red Table. I got that right and followed the DME step-down fixes and the altitude changes over distance were big, I really had to drop it down to be ready for the next fix. 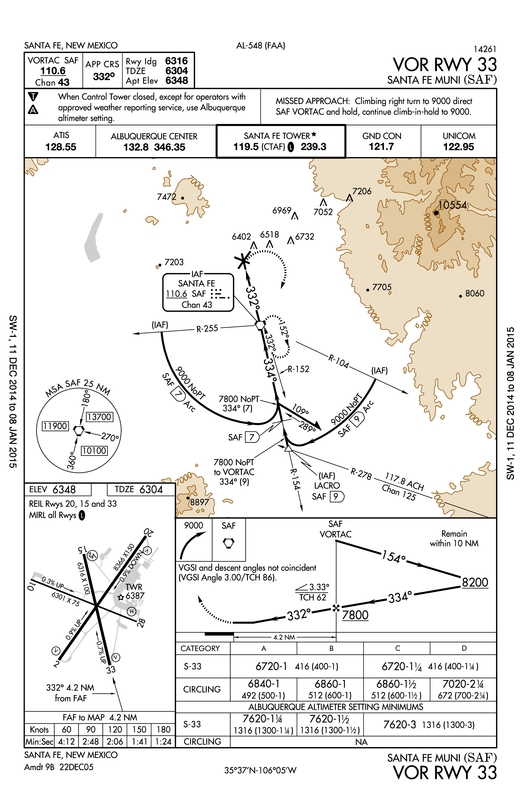 After passing DOYPE, the final approach fix, the angle flown is at least 6.59° (standard is 3°) and at 90 knots a descent of 1040ft/min is required. I used 20° of flaps and glided down with an idling engine. At the minimum descent altitude suddenly the runway appeared in front of me, surrounded by mountains. Remember the business jet that crashed on this approach a few years ago? When I, in a slow Cessna, had to rush my descent, imagine what a jet had to do at its speed. By the way, due to this crash it says now in the upper left corner “Procedure not available at night”. In the sim we flew at night anyways, just to fly it as it used to be and to make it even more challenging. The probability to use false horizons is for example a danger at night in the mountains. That is also the reason why approach light systems have a horizontal bar of lights across the extended centerline. While transitioning from instrument flight to visual references, an artificial horizon made of lights makes it easier. 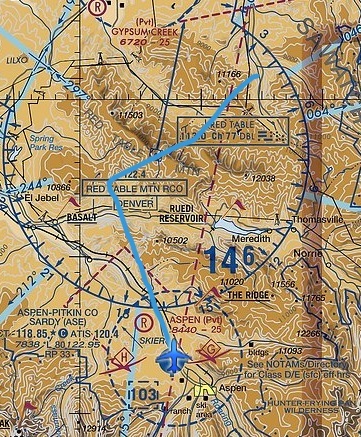 LOC/DME-E into Aspen, Colorado. Note the localizer on the mountain for the missed approach. The last approach of the day was into Bolinder Field. Again with mountains surrounding but this time with partial panel on a localizer. My instructor failed the vacuum pump, so the artificial horizon and directional gyro were spinning and tumbling around. I had to rely on the magnetic compass now and time my turns. The approach was a lot better compared to my last try a few days ago, but my heading changes were still way too large. Heading changes on a localizer should be limited to about 2 or 3 degrees and I find that very demanding with the magnetic compass. As if I didn’t have enough to worry about, suddenly the #1 CDI malfunctioned and I had to use the number two. At some point the number two failed and number one was working again – I decided to switch to the GPS approach and used the course deviation indicator on the display. At least that was my intention. The CDI didn’t indicate anything for the next few minutes and my best bet was to fly along the magenta line on the GPS’s display. Surrounded by mountains, at night, in an airplane in which everything but the wings failed. Joshua told me that he didn’t program the simulator to do all that, but we just tried to solve the problems. Our improvisation worked out and we ended up right in front of the runway at minimums. As always when flying with Josh, there was a storm with crosswind in excess of 30 knots. The fact that I hit one of the runway edge lights didn’t keep us from being happy about having survived this unintended, simulated emergency.